Excess moisture in the air may not only cause considerable damage to your items but also to your well-being. The best dehumidifier gets rid of excess moisture in the air and could help save you from mold and get rid of allergies. You should know that humidity levels above 50% can breed dust mites, mildew and mold, triggering allergies or other health problems. Therefore, it is important to own a good dehumidifiers to keep the excess humidity in check and to protect your health. 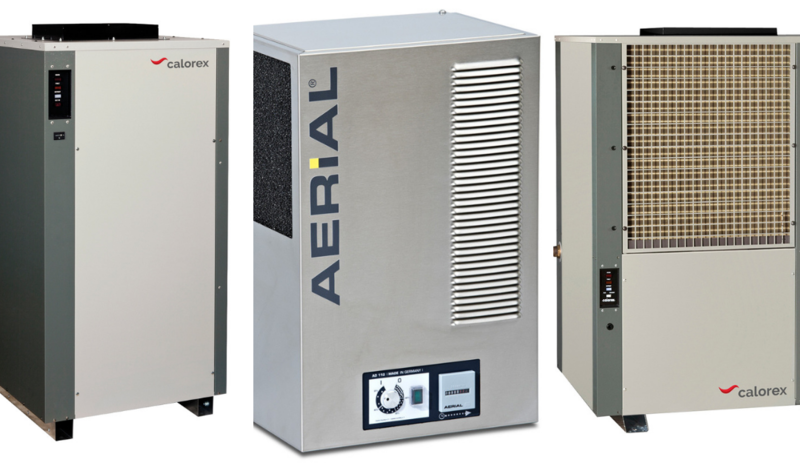 There are two primary dehumidifiers on the market today – the refrigeration type of dehumidifiers and desiccant dehumidifiers. Each of these types of dehumidifiers has unique attributes that make them suitable for different uses. A refrigeration dehumidifier, sometimes known as refrigerant dehumidifiers, removes water through producing a cold surface that the moisture can condense on or it is an air to air heat pump. It uses a fan to pull warm, moist air from the room that passes through a filter and then over a series of coils – a refrigerated coil and a heated coil. Using condensation on cold refrigerant coils to take away moisture, the warm moist air condenses into water droplets and drips into the container inside the machine. The dried air is then reheated via a heated coil and released back into the room as drier air free from moisture. A refrigerant or sometime known as compressor dehumidifiers are the most common dehumidifiers found in homes, industrial and commercial because they provide the ideal level of water extraction at the lowest cost operating effectively at varying temperatures. A desiccant dehumidifier removes moisture from humid air through the absorption process. It uses a chemical called desiccant – hence the name – to soak up moisture in the air.